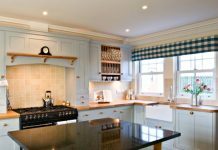 In case you would like to add some colors to your home, but you want to make sure that they will work the best thing you could do is to experiment with the kitchen. Families spend a lot of time here and so you will see whether the colors you used truly work for your family. Remodeling the kitchen is supposed to be something fun. 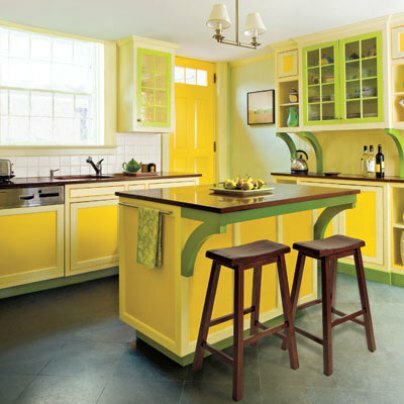 Add some fun, vivid colors such as lemon and lime. You don’t want the room to become monotonous, so you should add a splash of red through a sofa, for example. The pans and pots could also add some other colors, creating a unique harmony. When thinking about colors it’s not only the bright and vivid ones that you should think of. For instance you could paint the beadboard to a darker green. Once you are done add colorful wallpaper to the walls that also has green as its base color. 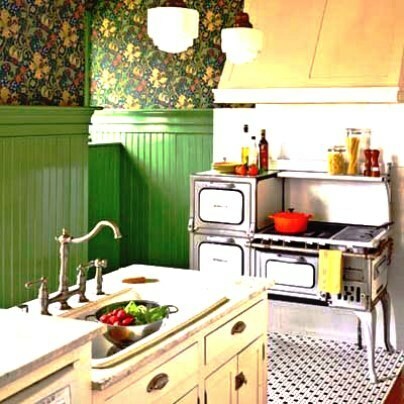 This is the best way to achieve a vintage looking kitchen. Nobody says that you can’t have many different colors in the same room. 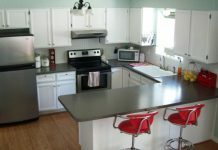 One of the ideas that you could go for is to paint the kitchen to the hues of a fiesta. 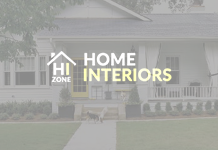 This means that you could have yellow walls, a green door, white cabinets and a lot of other colors spread among the small items. As an example you could get colorful plates and allow them to be visible for others. As it has been mentioned before, the combination of lemon and lime is simply brilliant. As an idea you could also add a bit of apple green as accents. 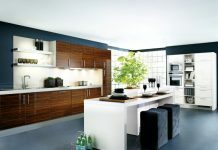 This way you will achieve a kitchen that looks fresh and that could become the focal point of your home. Whenever you will walk into the kitchen you will be reminded of the sunny summer days. 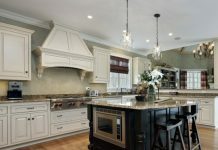 If you have a vintage styled kitchen, it may be a good idea to go for a white and red combination. The base color should be white with red accents. The floor tiles could also be red and white. However, you shouldn’t overdo things and have some other colors as well, like brown in case of the table and chairs. It is a very good idea to have the cabinets painted in butter yellow. This offers a sunny cast even to the subdued spaces. Next articleWhen Is It Alright to Use Leather Living Room Furniture?